The bees are buzzing, the birds are chirping and the flowers are starting to bloom. Three weeks after the equinox, it seems like spring has finally sprung in New York City. With a high temperature of 75°F in Central Park, today was the warmest day the city has experienced all year. The last time the mercury soared this high in the Big Apple was early October 2013. Our normal high for this time of year is 60°F. The mild weather is expected to last through the weekend. Enjoy! 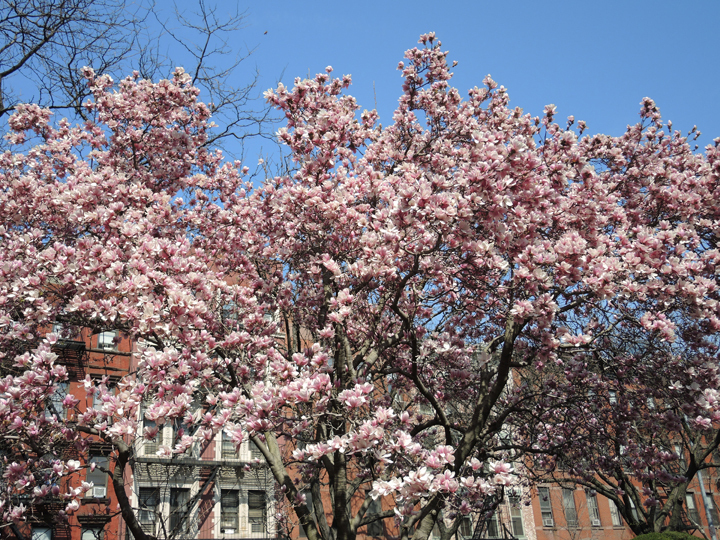 Magnolia tree in bloom in NYC. Image Credit: The Weather Gamut. This entry was posted in weather and tagged heat, nyc, spring by Melissa Fleming. Bookmark the permalink.